The Diamond Products team welcomes Annika Scherer as European Brand Ambassador. In her new role, Scherer will help to build and support the presence of all Diamond Products brands in the European region. This will include B2B and B2C strategy development and implementation for Pipedream Products, Jimmyjane, and Sir Richard’s, as well as retailer visits, events, and tradeshows. Scherer brings over 10 years of adult brand experience, having previously worked at Fun Factory in Germany. She is a strategic thinker and dedicated team member with a comprehensive understanding of various strategic and managerial roles that streamline business. Her knowledge of international markets, as well as her education in International Studies of Global Management, will be key to her new role. “Pipedream Products is a world leader with a full range to meet the retailer’s needs. 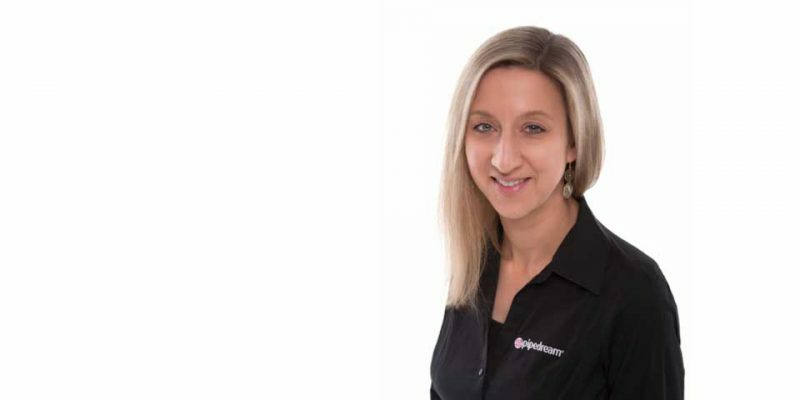 From bread and butter products to premium lines with Jimmyjane and Sir Richard’s, I believe that Diamond Products has something for every retailer, which is just what drew me to work with them,” said Scherer on her new role.